You are here: Home / Blogging / Where do you store your blog and article ideas? Where do you store your blog and article ideas? Moments of inspiration can be fleeting. When you’re the ideas person in your company responsible for editorial calendars for the blog or news section or the social media calendar, capturing those ideas is just as important as actually writing about them. If you don’t have ideas, you don’t have material to write about. Our blog posts may be intermittent but that’s not thanks to a lack of ideas. All our ideas are neatly recorded for when we want to use them. How do we do this? The back of a beermat doesn’t really cut it these days, but one thing I always have with me is my phone. 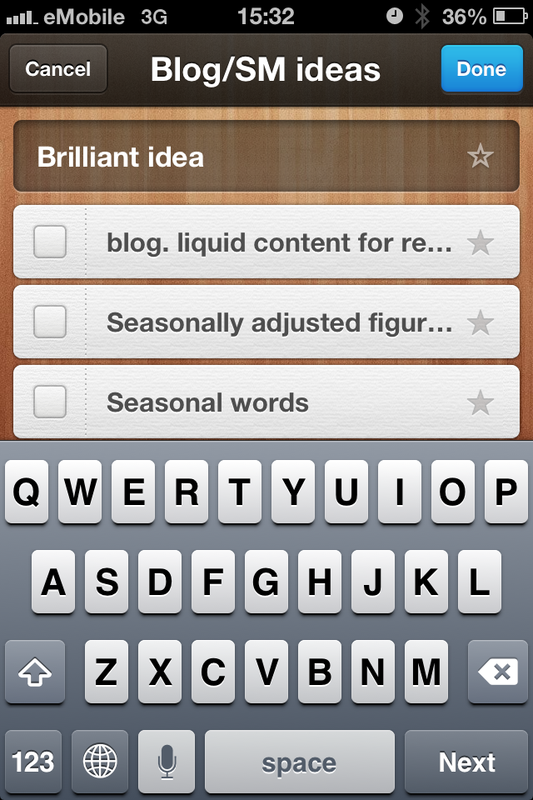 It’s a smartphone and one of the apps I’ve downloaded helps me record these ideas very easily. I was introduced to Wunderlist last year by productivity coach Claire Burge of Get Organised and one of the unexpected uses for it has been recording ideas for articles and blog posts quickly. That’s it, your idea is stored and you can go back to whatever you were doing beforehand and come back to the idea when you need to. Have a little more time? You can also set reminders and deadlines against Wunderlist entries and also include subtasks. Once you have each task/item completed you check the box beside it and that’s it, it is completed. Inspired by other pieces of content? 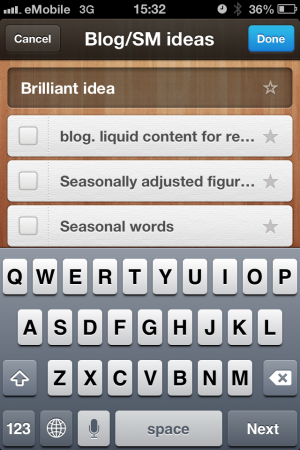 If you find inspiration in other people’s writing you can use ‘Add to Wunderlist’ for clippings from content to links. It’s all explained over on the Wunderlist blog. Here’s an end-f-blog-post call to action for you. Get us to deliver your ideas to you. You can write the piece if you want but we’ll give you the ingredients. Elaine there are some really useful ideas in here. I have not used Wunderlist for this purpose but after reading this, I most definitely will be! Love how I teach clients things and then they come back and teach me so much more. Hi Claire. I like the look of Wanderlust but I have to say I haven’t looked back from using Evernote for this sort of thing. 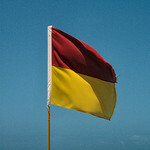 Also a site you might find interesting is ifttt.com. I’ve used this to great effect in upping my productivity.